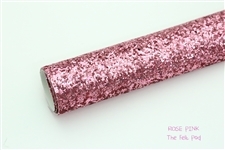 Rose Pink Chunky Glitter Fabric Sheet: 9 x 12"
Special Note: "Rose Pink" and "Blushing Pink" are very similar. 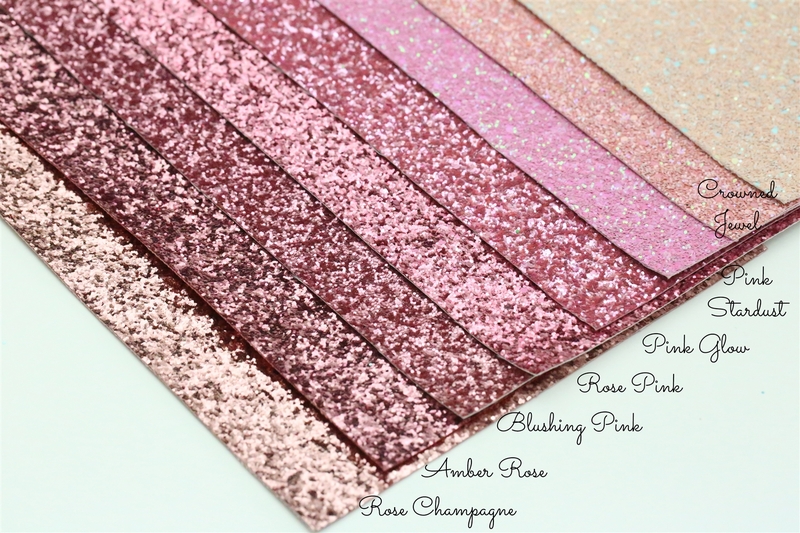 "Rose Pink" is a bit more pink and "Blushing Pink" is a bit more mauve in color. 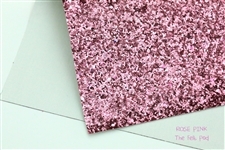 Our chunky glitter fabric is perfect for adding that special bling to your craft projects. 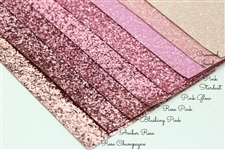 They die cut effortlessly and are great for scrapbooking and beautiful bow hair accessories! Each sheet is on either canvas or a knit material. The fabric underlay beneath the bows in the photos are representative of the color on the back of each respective glitter sheet. White underlay = white backing, gray underlay = gray backing, etc. ❉There may be some slight difference in color between dye lots. 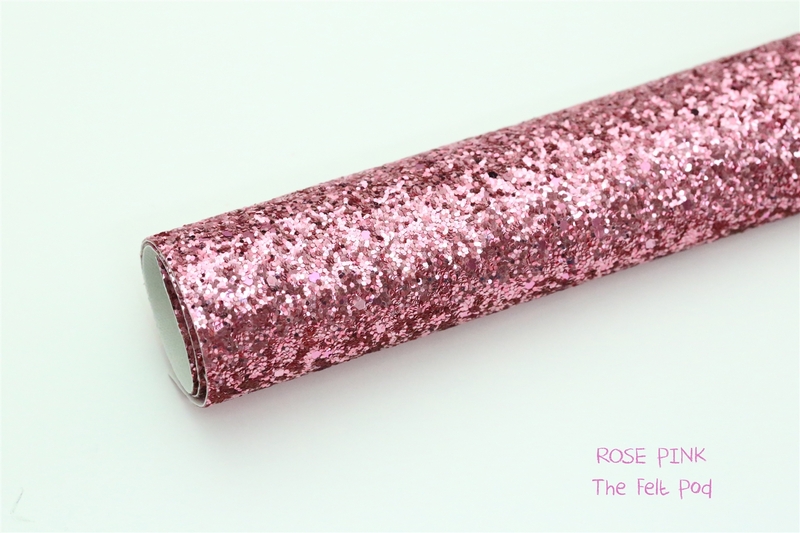 ❉Some shedding of glitter may occur. 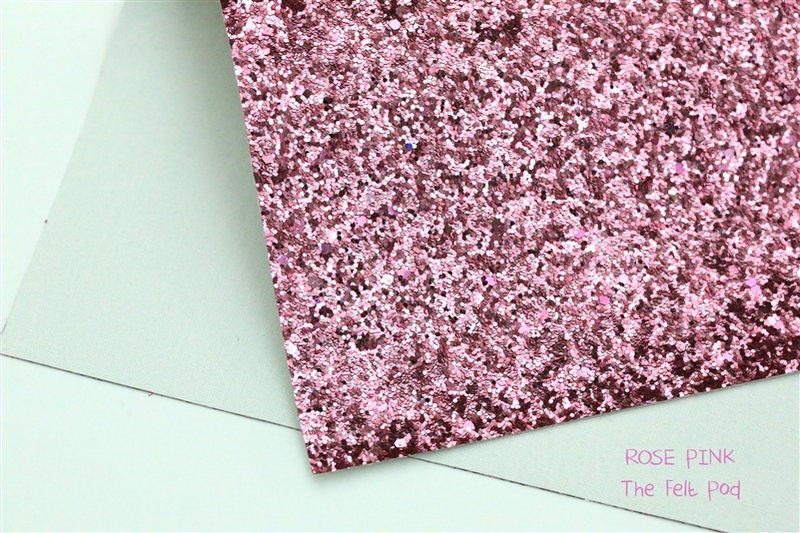 ❉We take great effort to represent our glitter colors as accurately as possible in our pictures. However, colors may vary between computer displays.